The ever-increasing demand for inventive, challenging online video has seen the interactive documentary format becoming more and more popular in recent years, but how do you even go about creating a non-linear film that offers its viewers the chance to play a role in how the story plays out? Is it even possible for independent filmmakers who don’t have the resources offered by funding bodies or supportive studios? In this guide, we’ll introduce those looking to explore new storytelling approaches to the tools and methods used to create an interactive story, the structures that work best and even showcase a few choice examples along the way. Before you start reading this guide, it’s probably pertinent for me to point out one thing – I’m not an interactive documentary maker. In fact, I don’t even really make more traditional linear documentaries. So why read this guide? 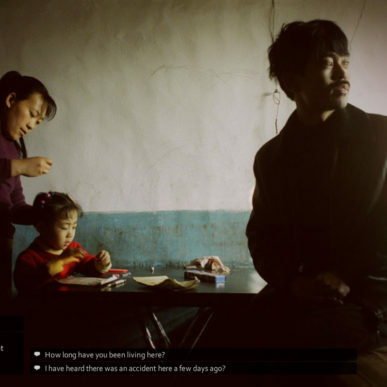 Well, I’ve been teaching interactive documentary for a couple of years now and have intensely researched how to make these non-linear narratives; from working out the best format for your narrative, to which software is most accessible. I initially compiled this information to guide students through the brave new world of non-liner storytelling, but the more I researched interactive documentary, the more I wished there was an understandable, comprehensive guide for those looking to explore the medium’s possibilities – hopefully this will be that guide. The phrase “Story first, technology second” was something I actually heard filmmaker/visual anthropologist Vassiliki Khonsari (co-creator of verite game 1979 Revolution) use at the 2016 i-Docs conference, and it’s stuck with me ever since. It’s a simple premise, but one that should speak volumes to those of us looking to create interactive documentaries. There are those that believe if you have a non-linear tool you should explore the possibilities of disrupting traditional narrative to great extent, but for the majority of interactive documentary makers finding a balance between interactivity and story will be a huge focus. There will be a temptation for many creatives to begin exploring the realms of interactive filmmaking just because it is an emerging technology and well…you don’t want to get left behind. Here at Directors Notes though, we still believe story is key and advise only going down the interactive route if it benefits the narrative. Always try to consider exactly what interactivity adds to your story that wouldn’t be possible through traditional linear storytelling. Whether it’s a narrative that demands audience participation, profits from immersion or is continuously evolving, make sure you go interactive for the right reasons. While we’re on the subject of story, it’s best to keep in mind that online audiences can be very different from those you may be used to screening for at a film festival. Internet viewers aren’t a captive audience like at a live screening, they need to be provided with a reason (very early on) to stay with your film instead of bouncing off to view something else on the web. Sure this ‘hook’ could come from the interactive part of your project, but this will only hold their interest for so long, like with screening more traditional films online, what is bound to keep viewers watching is a great story. Pre-production has always been key in filmmaking, but when it comes to interactive documentary, understanding the medium and carefully considering what you’re looking to create is essential to ensure you capture everything you need when shooting. If you want to create a menu with a moving background, you’re going to need a video to be placed in the background – what if you didn’t shoot anything suitable? You’ll either need to scrap that idea or go out and film it again (which may not be possible depending on when/where you originally shot) – both of which feel like an unsatisfactory compromise! Franz Kafka once said “better to have, and not need, than to need, and not have” and this is certainly the case when making an interactive documentary. Be prepared when you go out to shoot and always keep in mind the differences between interactive film and its more traditional counterpart. One such approach to being appropriately prepared is thinking about structure before you go and shoot. Yes, this might change, depending on the direction your filming takes you, but being aware of the anatomy of the interactive documentary and all of its possibilities is going to be key to success. If you’re used to working in traditional documentary (or any kind of “conventional” storytelling) this will be a narrative structure you’ll certainly be familiar with. The viewers path through the story is controlled by the filmmaker – we all experience the same beginning, middle and end. A relatively simple but popular narrative structure where the viewer is faced with multiple decisions and each choice affects the route they take through the story – the narrative branching out with different endings depending on the decisions you make, much like a ‘choose your own adventure’ book or game. Depending on how many branches the narrative contains, this type of structure can get very complex, very quickly. However, if you want a structure where the audience really feels like they are in control of the outcome, this will be the perfect fit. With a traditional linear structure running through its core, the Fishbone narrative allows viewers to veer off and explore the sub-stories of its tale, but always returns them to the main thread of its story. A structure suitable for those not looking to push boundaries with their film (it doesn’t feel too detached from a linear narrative), but still wanting to add more immersion than is possible with traditional filmmaking. With this structure you still get a great deal of control over the route a viewer takes through your project. Somewhat of a blend between a traditional linear narrative and a branching structure, the Parallel format means viewers are presented with choices in the story and although these decisions alter the route they take, they always return to the main narrative thread for pivotal moments. More complex and interactive than the Fishbone structure, but not as loose as the Branching approach, the Parallel narrative gives the impression of a ‘choose-your-own-adventure’ whilst still allowing moments of controlled guidance through your story. With a name that suggests a structure which orbits around a shared central point, it’ll be no surprise to discover that this formats revolves around one main hub which contains multiple entry points to different threads of the story. Viewers can choose which path they take, in whatever order they fancy but they always return to this core area. Though this format is relatively easy to set-up and provides a great deal of freedom and interactivity, this structure does mean you relinquish a lot of the control over what your audience views and although they might take in a lot of information, they might not get the ‘journey’ the other formats provide. Unless you’re fluent in code and a competent designer and programmer, you’re going to need to use an existing platform to build your interactive documentary. There are lists of interactive documentary software on many other sites (i-Docs has the best one), so here we’re only going to list the ones we’ve actually used (which makes it a short list) so we can talk about the positives/negatives of both. About: Klynt is an editing & publishing application dedicated to interactive storytellers. It was designed originally for Honkytonk Films in-house productions to create an affordable and easy-to-use solution to explore new narrative formats on the Internet. Klynt is a desktop app you can download and use for a fairly reasonable price. The software is pretty basic (it only has a handful of menu options and a couple of different editors), self-explanatory and should be reasonably quick to become familiar with. Klynt uses a combination of node-based storyboards and mixed-media timelines (see screenshots below) to help you create your interactive project – there’s some in-depth documentation on their website – and exports as a neatly packaged file ready to be uploaded to a server. Positives: Affordable, easy-to-use but with plenty of scope, familiar layout for editors, open source. Negatives: Ensuring your project works on all browser sizes can prove tricky, hosting will be required at an additional cost (although this could be seen as a positive), doesn’t allow the total freedom you might be looking. About: Founded by Israeli musician and self-proclaimed tech geek Yoni Bloch, Interlude was the realization of a vision to create a new type of interactive video that enables creators to express themselves in a new way. It started when Yoni and his band wanted to create a unique music video that his audience would want to play over and over again. Inspired by video games and non-linear stories like Dungeons & Dragons that they had loved as kids, the band filmed the video with a similar structure in mind. When they discovered that no technology existed that would support their vision of online seamless interactive play, the co-founders set out to develop such technology themselves. A browser-based platform that’s free to use, Interlude/Eko Studio uses Nodes (think of them as video sequences) and Connections (links between Nodes) to help you build your interactive story. Like Klynt, the software has built in elements you can place on top of a video such as buttons and timers and you can also import your own custom creations. Editing over time is a little more difficult than in Klynt but it has a parallel videos option (see The Daniels wonderfully inventive Possibilia for an example of this technology at its best) that could prove useful. Once your project is finished all that is left to do is click ‘Publish’ and your interactive film will be live on the platform’s servers. Positives: Free to use & free hosting (although the latter could be seen as a negative), easy to use, extensive documentation. Negatives: Need an internet connection to use, doesn’t allow the total freedom you might be looking. If neither of these tools allow the freedom you’re looking for in your interactive documentary, but you don’t have the technical knowledge to produce something outside of them, another possible option is looking for a (or team of) coder/developer to work with. One of the things both of these pieces of software struggle with is gamification (adding game elements to your film) and at present neither offers any virtual reality options (although Klynt is rolling up a VR edition in the near future. Like all online content, one of the ways viewers will discover your work is through a search engine, so you’re going to want the actual site that contains your doc to sit at the top of search engine rankings for a number of keyword/key-phrase search terms. For example if I made an interactive documentary called Digital Pirates, I’d want the site to come up top of the search listings when people searched for ‘Digital Pirates, Rob Munday’, ‘Digital Pirates, Interactive Documentary’, ‘Rob Munday, Interactive Documentary’, ‘Digital Pirates, i-Doc’, “Rob Munday, i-Doc’ and probably a few more. To do this you’re going to have to really pay attention to the meta information you’re adding to your project as you’re creating it. If you use Klynt or Treehouse are there areas where you can provide titles and descriptions for each sequence/node you create, can you provide credits, synopsis, etc. for your project? When you create the website that hosts your i-Doc, make sure it has an about page which not only provides all the relevant info about your project, but also contains keywords you think people will search for to find your doc. SEO is seen as a bit of a science, but when creating your project, if you pay attention to labelling/titling things correctly and writing good copy (where text is used), you’ll probably find a lot of the SEO is taken care of without ever having to think about it too prominently. Social media has become an integral part of finding an audience for content online and it’s almost certainly something you’re going to have to consider when creating/sharing your interactive documentary. You’re going to have think about which social media platforms to use (Facebook, Twitter, Instagram, Snapchat?) and when you want to start sharing content (during production, once complete?). Be sure when using social media to take time to build your network on the platforms you use and start following/interacting with people/organisation with similar interests (documentary festivals/makers/websites, etc.). Then when it comes to publishing content, think about if there are particular people/organisations you want to aim your content at – just publishing an update to your feed doesn’t do much unless you have lots of followers, but one retweet or share could suddenly introduce your work to a whole new audience. Getting your interactive documentary featured on a website with an already established fanbase is one surefire way to get your i-Doc some attention. Websites like Directors Notes and Short of the Week will happily showcase your interactive projects if you submit to them and i-docs.org (surely the most dedicated site for interactive docs) are also interested in seeing any pieces you send their way. 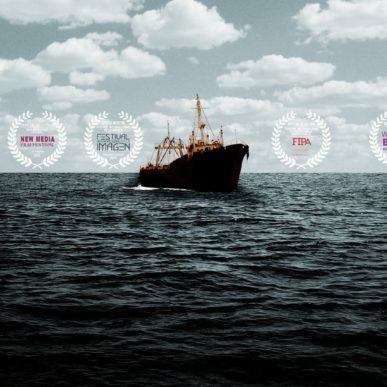 One of the first (if not the first) gamified interactive docs, Pirate Fishing asks its users to take on the role of an investigative reporter and explore the multimillion-dollar illegal fishing trade in Sierra Leone. 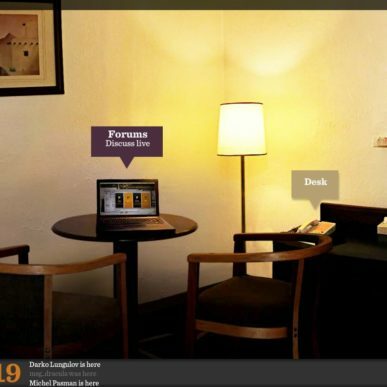 A story that involves evidence-collection, fact checking and note taking this immersive experience is still widely discussed in the world of journalism for its innovation, alongside its insight into the journalistic profession. Described as “where film marries video game” by the New York Times, Fort McMoney challenges you to ‘put your business ambition and ecological conscience to the test’ in this interactive documentary set in the heart of the petroleum industry. An immersive i-Doc that invites you to ‘walk like a detective through Fort McMurray’. 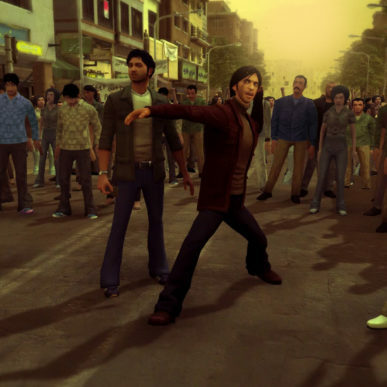 With an aesthetic that feels more Grand Theft Auto (creator Navid Khonsari was Director of Motion Capture on Grand Theft Auto III) than documentary, 1979 Revolution places users of the game on the streets of Tehran, Iran as the country faces a cold-blooded uprising. Essentially a videogame with true documentary roots, Ink Stories‘ game-changing project would be hard for a filmmaker to replicate, but impossible not to admire. Described by our friends over at NoFilmSchool as “an engaging and innovative look at an issue that’s often out of sight, out of mind”, Prison Valley is a documentary which takes you on an interactive tour of Cañon City, Colorado – a town in the middle of nowhere with 36,000 souls and 13 prisons. A road movie of sorts, this stylish i-Doc from David Dufresne & Philippe Brault provides its audience with a chance to examine and investigate the penal system. Created by the team behind the Klynt app, this documentary is a shining example of what you can achieve with their software. Journey To The End Of Coal tells you the story of a sacrifice. A sacrifice millions of Chinese coal miners are making everyday, risking their lives and spoiling their land to satisfy their own country’s appetite for economic growth. 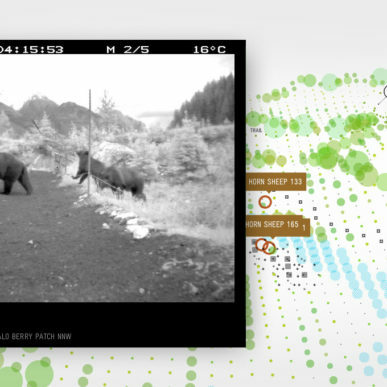 The story of a female grizzly bear monitored by conservation officers, Bear 71 is a meandering interactive documentary that really allows its audience to wander through its loose narrative. Revealing the hidden life of the forest in which the titular bear roams, Jeremy Mendes & Leanne Allison’s NFB doc is oddly compelling and strangely comedic – it’s also a fascinating (and high profile) example of non-linear storytelling. Another NFB Int Doc, this Emmy-winning collaborative documentary explores vertical living around the world. 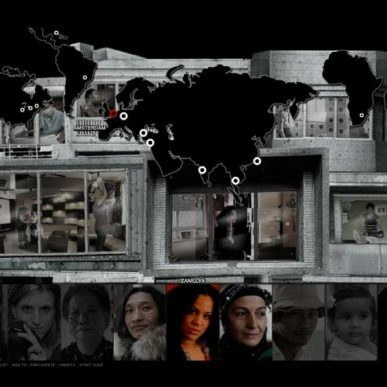 The project, which began in 2009, includes five web documentaries — The Thousandth Tower, Out My Window, One Millionth Tower, A Short History of the Highrise and Universe Within: Digital Lives in the Global Highrise — as well as more than 20 derivative projects such as public art exhibits and live performances. Please note: If you feel I’ve left any important projects out that would be interesting/inspiring to filmmakers looking to create interactive documentaries, please let me know in the comments below. I think Last Hijack Interactive, which won an Emmy Award in 2014, would be a good addition to the list. And perhaps also Refugee Republic, which presents everyday life in a refugee camp in Northern Iraq using drawings, photo, video and soundscapes. Refugee Republic reached a wide audience and was very well received internationally as well. Thanks for the suggestions Remco, we’ll definitely check those out!